Drug laws attempt to control what you can do with your mind and what experiences you are allowed access to. Drug laws are, quite literally, attempts at mind control. Cognitive libery is much more than freedom of thought. To believe in cognitive liberty is to believe that the individual is absolute sovereign over their own consciousness. It is an extension of the concepts of freedom of thought and self-ownership. It is a reaction against the prevailing assumption that other people have the right to tell you what you can do with your mind and body in situations that carry only a personal-risk. When we elect authorities we do so not to place limitations and controls on what we can do with our minds; they are meant to be guardians of our freedom, increasingly their focus has been the paternalistic infringement of basic liberties in the name of protection. Where the exercise of cognitive freedom doesn’t trespass on the freedom of others, as in the case of the freedom to use psychedelics, denying such a freedom is unjustifiable. Almost all activitees bring with them an element of risk. Driving a car, for example, is a dangerous activity, but it is permitted because it serves an economic uility, joining the army is a dangerous profession, it is permitted because it serves the state’s interests. In short, you are allowed to keep the freedoms that are compatible with the needs and interests of the state and economy: protecting the individual has nothing to do with it. If we continue down this path, there will be a time where the human mind will be limitted to merely working and consuming. People have been using psychedelics such as psilocybin mushrooms for thousands of years; in 2005 they were made illegal by Tony Blair. We need to seriously question the motives behind this move and analyse the arguments that justified it. Media analysis of the issue was scant, the “bigger issue” of civil liberties, cognitive, spiritual and religious freedom, was never discussed by simplistic media coverage. Users of psychedelics will always be a minority, our interests are simply not represented in the current political landscape, but they are legitimate interests. We’re locking up hippies and mystics for activities that harm no one. My over-arching suspicion is that these laws are actually about controlling a form of political dissidence and a will to be a part of a social change. Psychedelic drugs often cause people to question the nature of our industrial/consumerist society and the constructed power-hierachies within it. Psychedelics can potentially present an individual with alternatives to the materialist mentality, with all its discontents, that the smooth-running of our economy depends on. This movement is about returning to you the power to do with your mind and body what you see fit. You never consented to have such rights taken away, these laws came about largely through though misinformation, circumstantial historical/political interests, and ignorance. They did not come about through a democratic process, nor are they reinforced by scientific evidence or practical reason. Claims that these totalitarian laws serve a social benefit are flawed. 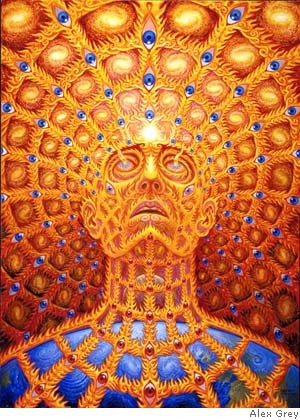 Psychedelics cause spiritual experiences. They show people insights about their own nature and the nature of reality that the unaffected mind simply cannot imagine. There are realms of experience waiting for you: beautiful, glorious, sometimes terrifying, usually divine. The historical process by which these experiences became off-limits to you is one I implore you to investigate: you will see how little your interests were ever anything to do with it.